We've already explored in detail why VR makes some of us sick and motion sickness definitely has a big part to play in that. One company that's hoping it can provide a solution to the problem is Reliefband, with its wrist worn Neurowave wearable that offers drug-free relief from nausea, retching and vomiting caused by motion sickness, but also from travelling or amusement rides. The clinically proven, FDA-cleared device works by applying programmed pulses with highly specific waveforms, frequency and intensity to the median nerve, which is found on the underside of the wrist. The process is called 'neuromodulation' and uses the body's natural neural pathways to block the waves of nausea produced by the stomach. 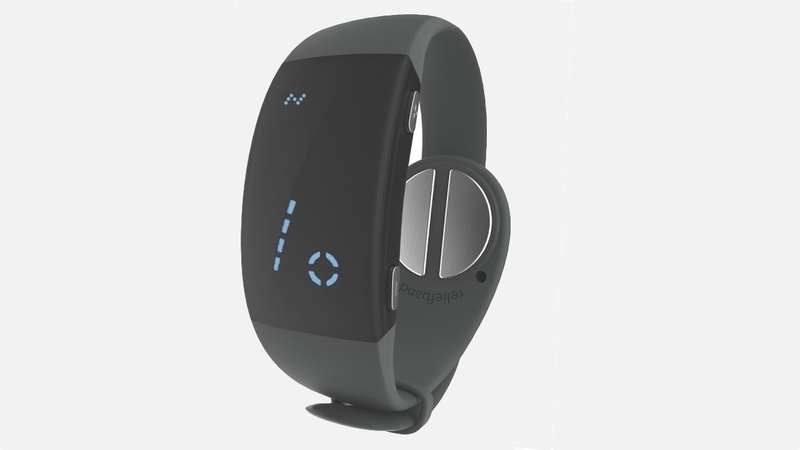 This is the company's second wearable and the Neurowave is significantly slimmer than its predecessor. It has also jumped from 5 to 10 intensity settings, which can be controlled by two physical buttons on the side of the device. There's also a very easy to read display and a new hypoallergenic 316 surgical steel contacts to ensure transmission of the neuromodulation is more efficient. We tried out the band, which uses a simple metal clasp to secure it in place ensuring that the contacts sit correctly on the band. You'll need to apply a small amount of gel that we're told ensures there's good contact between the skin and the device to tap into the median nerve. After a few seconds of playing around with the intensity settings, you'll begin to feel a noticeable tingle in your fingers. It's not uncomfortable any way and crucially, the band doesn't have to sit too tightly around the wrist to apply the treatment. If you like the idea of ditching the drugs to deal with nausea, the Neurowave is going to be available to buy for $150 and is set to land in Q2 2017.